Travis Heights Elementary School > Neighborhood News > Looking for a kid-friendly event? Preservation Austin has planned a History Hunt in the neighborhood just west of THES, beginning and ending in Stacy Park/Blunn Creek Greenbelt. The date for this event will be February 10. This is a free event, but reservations are required. 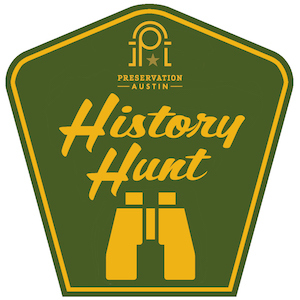 You can find the specifics on the Preservation Austin website and there is a Facebook page for the event: History Hunt.